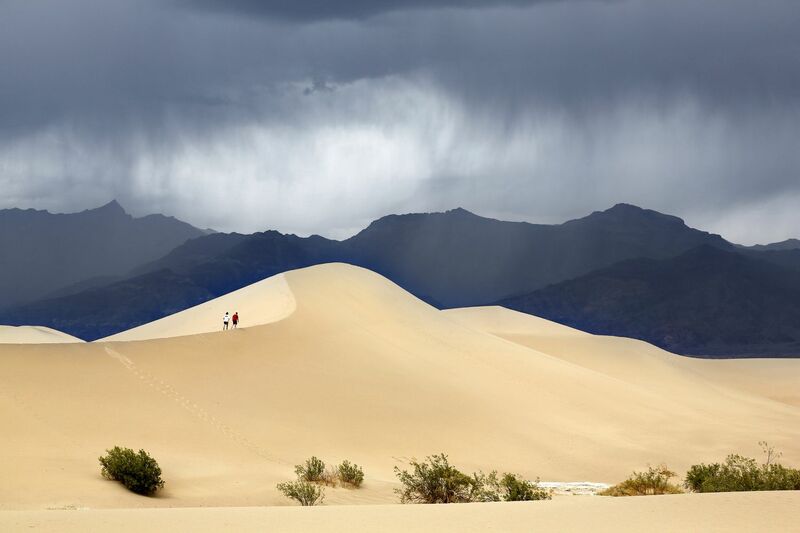 I was just coming back from where these two lads were going as I could see this Storm approaching Mesquite Flat Sand Dunes Death Valley. It was unbelievably hot and I was getting quite tired so I was relieved when I reached the car. Five minutes later the heavens opened and I was so glad I had returned in the dry.